An interesting May 22 report from the Australian Carsales website and its sister site Motoring points to a three-seater carbon-fiber hybrid concept from Toyota that seems to have potential to be the Japanese automaker’s version of the BMW i3. 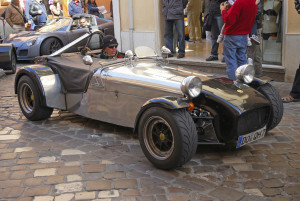 The article, which cites a “source close to Toyota,” describes an open-wheel sports car taking a nod from the Lotus Seven. 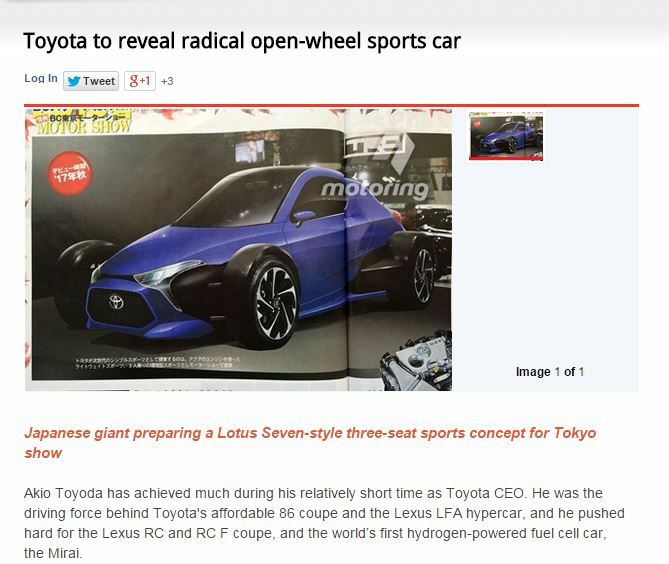 The website posted a photo from Japan’s Best Car magazine which apparently depicts the vehicle, which would have staggered seating and a curb weight of 1,543 pounds. The car will make an appearance at the Tokyo Motor Show in October, Carsales reported. “What’s more, the source says that if it gets the thumbs-up from the press and public, the world’s biggest car-maker will seriously consider building it,” the article states. If the car actually went to production, it’d sell for $23,055 and be sold internationally in 2018, according to the site. Assuming all of this is true, what Toyota learns from the car’s carbon-fiber — whether the vehicle stays a concept or receives a spot on an assembly line — could be the real item to watch for collision repair. Ford is studying how to make the light, strong material more cost-effective for mass production, and BMW probably has learned a thing or two about that already. Toyota’s interest and the car’s theoretically cheap price tag (admittedly, minus a seat and trunk) could further push the material into the mainstream.